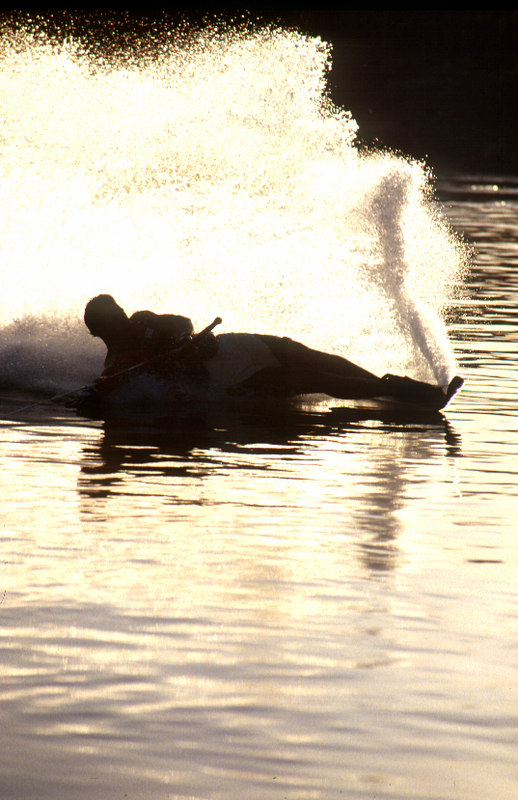 The BodySlide was first performed by Mike Mack in 1983 on the Colorado River. Mack came from a surfing background, and had the unique habit of dragging his inside hand during a slalom turn. For him it was similar to touching the face of a wave while surfing. Mack got plenty of ribbing from the guys at Mike Murphy’s Ski School for his unorthodox style. One day Mack was riding his ski upriver in glassy conditions when he got a little too deep in the turn. His fin slipped out and he found himself riding on his side in perfect control because his inside hand acted as a stabilizer. That’s all it took. In just a few days Mack could do the BodySlide on demand, and it became his signature move.